Exercise bikes at bargain prices. Upright exercise bikes are a great low impact, endurance and cardiovascular workout. They work like a regular street bike, but with a larger, more comfortable seat and are very easy to use. 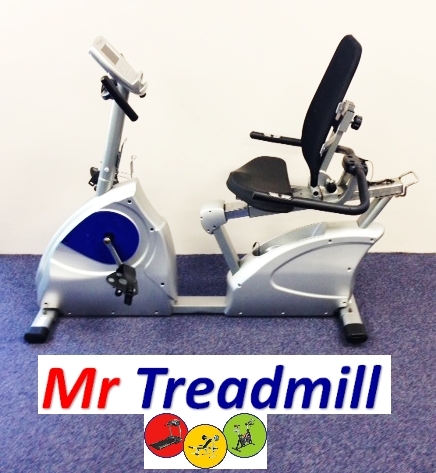 Recumbent exercise bikes are great for people who need a large seat or extra back support. They often have an easier step-through which helps those who may have mobility issues. Spin bikes have a heavy fly-wheel and smaller seats like a road bike. They are designed for the serious rider and allow you to get up and out of the saddle.